Inaba-san, thank you for waiting. How did you first encounter video games? I’m at a different age than Minami-san, but I came in through arcade games as well – like Space Invaders, Galaxian7 and Heiankyo Alien8.7. Galaxian: A shooting game that appeared in arcades in 1979.8. Heiankyo Alien: An action game released for personal computers in 1979. Subsequent versions were released for arcades, the Nintendo Game Boy system and the Super NES. Judging from your age, I’d say Space Invaders came out when you were in elementary school, right? Yes. Between the first and fourth grades. Back then, if you went to a big supermarket or a hot spring resort, they’d have Space Invaders. Those were the only places I could play. I do suppose that elementary school children can’t go to video arcades on a daily basis. You could only play them on certain, special occasions. The intensity you invested in a single playing session was different then. The concentration required was extraordinary – as was the despair when you failed! (laughs) But I didn’t pass my elementary and junior high years with only arcade games. I also encountered personal computers then. One day, my friend called me over, saying, “I’ve got something cool at my house.” I went over, and it was a PC-60019.9. PC-6001: An 8-bit personal computer released by NEC in Japan in 1981. Right. You could stick in a game cartridge and play a game that you could only otherwise play at a video arcade, so I was like, “What is this? 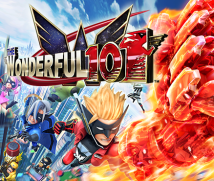 !” Of course, the graphics didn’t stack up to the arcade version at all, but that was just when Portopia Renzoku Satsujin Jiken10 came out, and I really got into games like that. Also, an electronics shop in the neighbourhood had a personal computer on display, and I got to do a little programming and played with it.10. Portopia Renzoku Satsujin Jiken: An adventure game released in Japan by Enix (now Square Enix) for personal computers in 1983 and the NES system in November 1985. You programmed a computer in an electronics shop? But it wasn’t so bad for you to spend two hours programming for ten minutes of play. No, not at all. I was incredibly excited as I punched it in. But then the shopkeeper would say, “Okay, that’s enough of that,” and “Put that book back,” and I had to go home. But, undeterred, I’d go again the next day, and the next, and so on. You really were into it. Yeah. But after a while, I realised I couldn’t keep doing that and I came to want my own computer. So I went for broke and told my parents that I wanted my own computer. They asked what I was going to use it for. As a child, I knew that if I said I wanted to play video games, they would never buy it for me. I’m sure they wouldn’t! (laughs) Personal computers were quite expensive then – much more than game consoles today. And my target was a PC-880111.11. PC-8801: An 8-bit personal computer released in Japan by NEC in 1981. Thirty years ago, it cost 228,000 yen – back then that was about how much you would spend for a light car today! Of course, your parents wouldn’t say yes right away. No. That’s when my path was first determined. I pleaded with them, saying that with my own computer, I wouldn’t just play games but also make them. That was about the time that Enix started its programming contest12 and star programmers were just beginning to appear – people like Yuji Horii-san13, Kazuro Morita-san14 and Koichi Nakamura-san15.12. Enix (now Square Enix) held the first Game Hobby Program Contest in 1982.13. Yuji Horii: Recipient of the Winning Program Award at the first Game Hobby Program Contest. 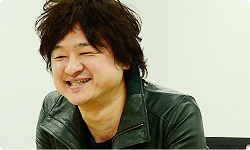 He is the creator of the Dragon Quest series.14. Kazuro Morita: Recipient of the Most Outstanding Program Award at the first Game Hobby Program Contest. One of his representative works is Morita Shogi.15. Koichi Nakamura: Recipient of the Outstanding Program Award at the first Game Hobby Program Contest for his game Door Door. 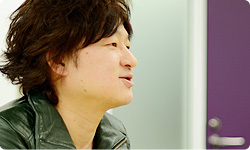 His representative works include the Torneko no Daiboken and Shiren the Wanderer series. Your developer’s heart had started to awaken. Right. I thought, “If I learn how to program, I can really become a game creator!” I set my sights on a school where I could learn programming and I began to think about my career. But you were in elementary school, right? That’s pretty early. But for the most part, I always wanted to enter the gaming industry. You didn’t start at Capcom, did you? No. I was born and raised in Ishikawa Prefecture, and most people got a job around home. In 1992, I got a job at a game company named Irem that had ties in the community. What was it like to achieve your dream since elementary school of entering a game company? I was having a blast. A programmer’s work is what makes the game run in the first place. Programmers at that time had a sense that they were in control of everything that reaches the players’ hands. Right. I felt like I had become a wizard, and it was awesome. I was at that company for about three years, but not once did I think the work was hard. Around that time, I’d get to work at about seven in the morning, go to eat curry or a beef bowl at about midnight, work again until about two or three in the morning, have a late night snack, go home, and go to work again the next morning at seven. That lifestyle was a lot of fun. You didn’t think that was hard at all. Time really does fly by when you’re doing something you like. Right. I was like, “And I even get paid for it!” If I think about it now, I wasn’t getting paid that much, but back then I didn’t have the time to spend money, so I did something fun, got paid, and was happy just going through that cycle!